Note: Spoilers follow for all Predator films except this year’s The Predator. It’s been eight years since the Predator’s last hunt. Now director Shane Black is bringing the alien back to Earth for The Predator, opening on September 14. When a boy (Jacob Tremblay) unwittingly sends a signal into space, it draws the hunters to Earth – and towards a collision with a team of former soldiers, led by mercenary Quinn McKenna (Boyd Holbrook). Things won’t be easy for the soldiers. (Are things ever easy in a Predator movie?) 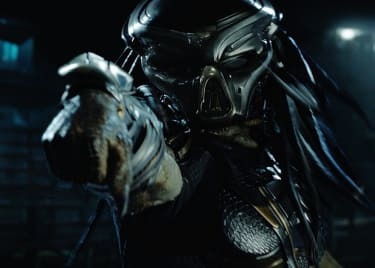 Since we last saw the Predators, they’ve buffed up their genetic code with traits from other species found across the universe. They’re much stronger, faster, and more vicious than Predators of the past. Even as the new movie aims to reinvigorate the franchise, it isn’t ignoring everything that came before. Here’s how The Predator fits into the series. Predator is set in 1987 as a mercenary squad, led by Arnold Schwarzenegger’s character “Dutch” Schaefer, is sent to the Central American jungle to rescue a prisoner presumably captured by insurgents. On site, the mercs realize their mission is a ruse, and soon find themselves hunted by the Predator. The creature kills the mercenaries; only Dutch survives, thanks to quick wits and an understanding of clever tactics. Even he is eventually caught by his otherworldly opponent, but Dutch gains the upper hand by dropping a giant log on the creature. The Predator kills itself – and tries unsuccessfully to take out Dutch – with a suicide bomb. People on Earth now know about the alien species, but that wouldn’t necessarily help anyone the next time they show up. That “next time” is 1997, and the events of Predator 2. Ten years after Dutch’s encounter with the alien, the Predator hunts gang members in Los Angeles. Danny Glover’s character Mike Harrigan, a hardened LAPD officer, looks into the murders, unaware of the killer’s alien origins. Harris isn’t alone in his investigation. Peter Keyes (Gary Busey), head of the O.W.L.F., an organization tasked with following the Predators’ activities, also steps in to deal with the hunter. Keyes shares info with Harrigan and sets up an ambush the creature in a slaughterhouse. The plan backfires, leaving Harrigan to fight alone. The fight culminates inside the Predator’s spaceship, where Harrigan defeats the creature. To his surprise, a pack of Predators appears inside the aircraft. They acknowledge Harrigan’s victory and allow him to leave before taking off. That brings us to 2018, which is the setting for The Predator. A boy named Rory McKenna (Jacob Tremblay) inadvertently activates a signal that attracts the Predators to Earth. The ruthless hunters are different this time around, however. Having combined their DNA with that of other alien species, they’re considerably stronger and smarter than those faced by Dutch and Harrigan. Aided by scientist Casey Bracket (Olivia Munn), Rory’s father Quinn (Boyd Holbrook) leads a team of soldiers in an effort to contain the Predators. One of the people involved is Jake Busey’s character Sean Keyes; he’s the son of Peter Keyes, played by Gary Busey in Predator 2. Predators takes place in an unspecified future. The movie centers on Royce, an ex-Special Forces operative, and Isabella, a former Israeli sniper. They awaken on a foreign planet alongside a small group of ex-soldiers and criminals. While exploring the planet, they’re attacked by three Super Predators, who’re larger and seemingly stronger than the Predators presented in previous films. Luckily, the team survives the encounter and continues on its journey. 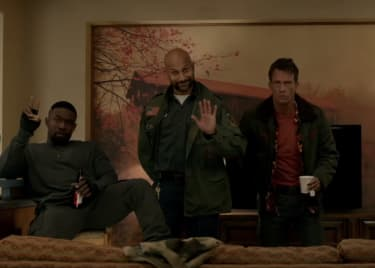 Eventually, they come across a Noland, a former soldier. 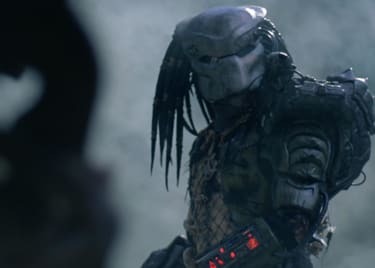 He reveals that the Predators regularly capture and subsequently transport fighters from different races to that planet as prey for them to hunt. Noland reveals the existence of a ship hidden in the jungle, which they set out to find. While the majority of the team is killed by the Predators, two remaining survivors set off to find a way off the planet. What About Alien Vs. Predator? The Predator and Alien franchises collided in 2004’s Alien vs. Predator, inspired by comic books published by Dark Horse Comics in the early ’90s. Alien vs. Predator enjoyed moderate success at the box office and spawned a sequel, Alien vs. 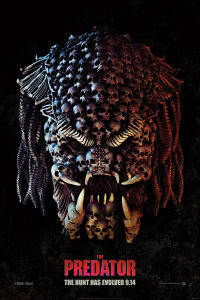 Predator: Requiem, which picked up right after its predecessor and introduced a new species of Predator. Theoretically, both movies take place between Predator 2 and The Predator. But there’s no info to suggest an actual story connection – so we’ll keep to the storyline set out above, and stay ready for any revelations in the new movie. The Predator will go on the hunt on September 14, 2018.